Note: Families are encouraged to use Sunday afternoons and evenings for rest, family enrichment and/or ministry. 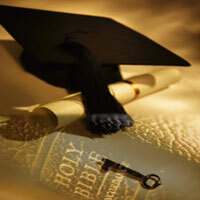 College and Career years are some of the most important in the Christian's journey. These are the years when you will sort through ideas, beliefs and options that will shape the rest of your lives. You will make some of life's most important decisions. You have already been taught many things. Hopefully, what you were taught was Biblical and thus true. HOWEVER, THAT DOES NOT MEAN THAT YOU REALLY BELIEVE IT! Now, you are at an age where you begin to personally work out IF YOU REALLY believe the Word of God. Thus, it is needful, instructive and reassuring to be vitally connected with a Bible believing Church. Southside's Church and Sunday School ministry to College and Career young adults from time to time may be in a class of your peers. But often it is in a context of the Biblical model of the younger learning and fellowshipping with the older. In our culture we like to separate everyone into their own particular age group. There is a place for spending time with one's own age and with those with similar interests. But there is a greater need to learn of the wisdom from those who have walked in front of you! Young or old, they will be folks much like you... people who are searching for answers to life's most important questions about truth, identity and faith as well as seeking a community with relationships that will enrich their lives. We strive to maintain an environment where people are free to ask hard, honest questions and we turn to the timeless Word of God and the ministry of the Holy Spirit for answers. And very often those answers come out of the crucible of experience... from the failures and the successes of those who have blazed a trail in front of us. It makes no sense to shut off ourselves from Godly wisdom and experience! Sure, I know. Many College and Career Adults are out for fun, fun, fun and looking for marriage partners or partners with whom to gratify their flesh! And many churches fall all over themselves to accommodate with the FUN AND GAMES approach to church! And the churches with the most exciting toys win! Or do they? At Southside, we believe that whether young or old the primary fundamental reality of true Church is to KNOW JESUS CHRIST INTIMATELY AND TO MAKE HIM KNOWN! Thus, our unifying objectives at Southside are to love, worship and serve Jesus Christ and to continually grow in our knowledge of Him as revealed in God's word, the Bible. We seek to reach these objectives in the context of a loving, worshipping community. We invite you to join us in this goal!